There is great opportunity for early movers in the low-carbon transition. The global market for low-carbon goods and services is growing rapidly, and may reach $4 trillion to $8 trillion by mid-century. 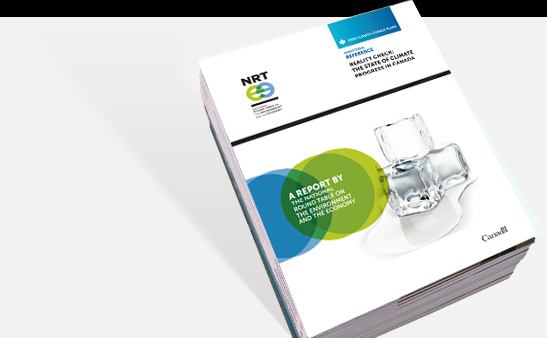 In Canada, the NRT estimates that total LCGS spending will grow from $8 billion in 2010 to between $36 billion and $60+ billion in 2050.
International debates about low-carbon fuel standards, the publication of a suite of low-carbon growth plans around the world, and the clean energy stimulus spending in response to the global economic downturn are all evidence that the world is in the midst of a transition to a low-carbon economy. As with any economic shift, the low-carbon transition will create winners and losers. Growing demand for lowcarbon goods and services (LCGS) has already begun to create winners in the solar, biofuels, and energyefficient vehicle industries, among others. This chapter assesses the opportunity for Canada. It sets out current and forecasts future LCGS expenditures at the global and national levels. Our analysis considers how various climate policy futures could influence that spending. From that basis, we identify Canadian LCGS sectors that are currently capturing a greater than expected share of global expenditures and assess the trade balances of LCGS sectors to identify areas where Canada may be well positioned to maintain or gain market share in the future. 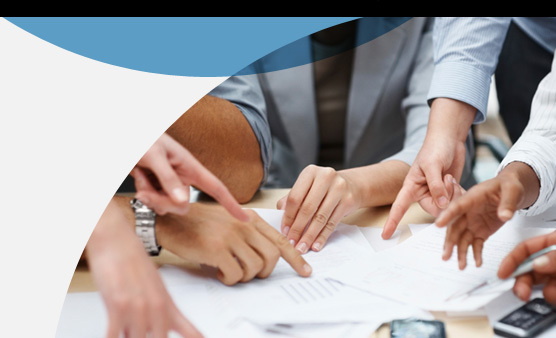 This empirical analysis is complemented by a qualitative assessment of opportunities at the regional level, informed by pan-Canadian discussions with expert stakeholders. 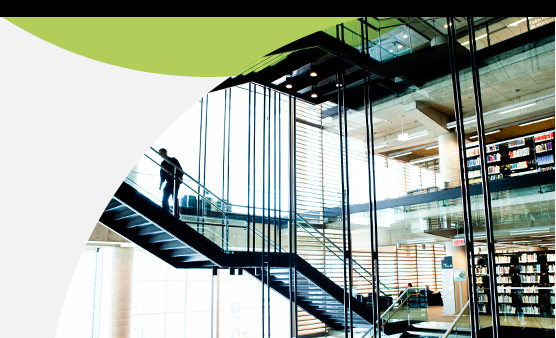 Our consideration of Canada’s low-carbon opportunities is in the context of the global transition to a low-carbon economy, which, for the reasons outlined in Chapter 1 we believe is already well underway. 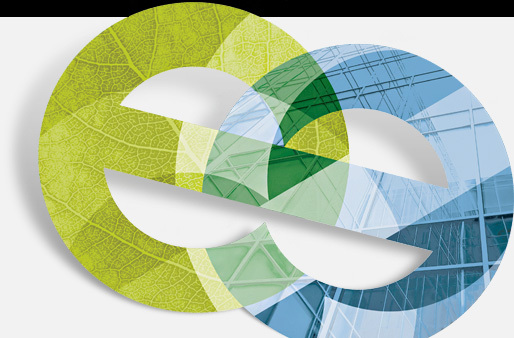 We further suggest that to achieve Canada’s 2020 GHG mitigation targets and longer-term (e.g., 2050) targets consistent with this level of effort, Canada will need to engage more fully in its own transition to a low-carbon economy. But what do we mean by a “low-carbon economy”? What does it look like? FIRSTLY, while we cannot describe with full certainty what a low-carbon economy for Canada would look like once achieved, we can articulate our current understanding. The low-carbon economy is a transition — a shift — in the existing economy from heavy carbon intensity to a significantly reduced average GHG intensity of economic output; it is not a subset of the current economy. Furthermore, while the low-carbon economy does imply a change in the GHG intensity of this production, it does not necessarily imply a significant shift away from oil and gas production and other resource-based industries. SECONDLY, while there are many parallels in this conversation with the dialogue around the “green economy,” we are not addressing the full suite of issues and considerations inherent in the broader green economy discussion. A “green economy” is of necessity a “low-carbon economy,” but while low-carbon is a significant consideration in what makes a “green economy” green, there are many other aspects of sustainable development beyond climate change considerations that need to be factored into this broader discussion. For the purpose of this work, we are exclusively focusing on the actions needed to bring about the low-carbon aspect of the “green economy,” consistent with the vision for NRT’s Climate Prosperity series that is focused on understanding how Canada can prosper through climate change. 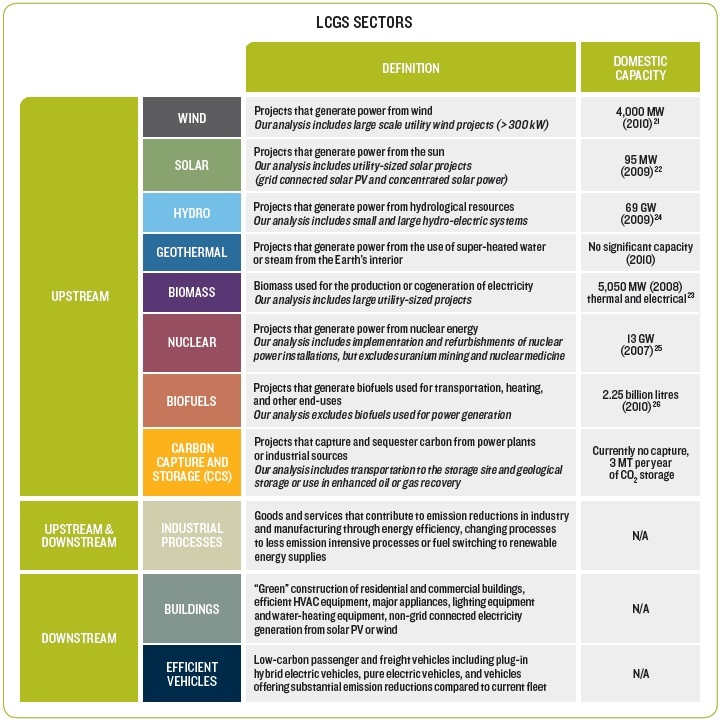 While this chapter considers the potential growth in LCGS sectors, in a global low-carbon economy it is not strictly these LCGS sectors that will provide economic growth. The LCGS sectors do not comprise the low-carbon economy, but rather enable it. Low-carbon innovation in manufacturing will enable Canadian firms to be more competitive in world markets, positioning them to gain market share. Innovation in the extraction and processing of bitumen could ensure long-term opportunity for the oil sector. Highly GHGefficient mineral extraction and processing could position Canada to be recognized as a world leader providing further opportunities to supply expertise and technology internationally. So, while we focus on the opportunity available in the pursuit of LCGS to supply growing global demand, we also recognize the broader economic benefits that the development of LCGS sectors and the pursuit of low-carbon innovation can deliver to the economy as a whole. Table 3 presents the key LCGS sectors considered in our analysis. Detailed profiles of these sectors are provided in Appendix 6.1.